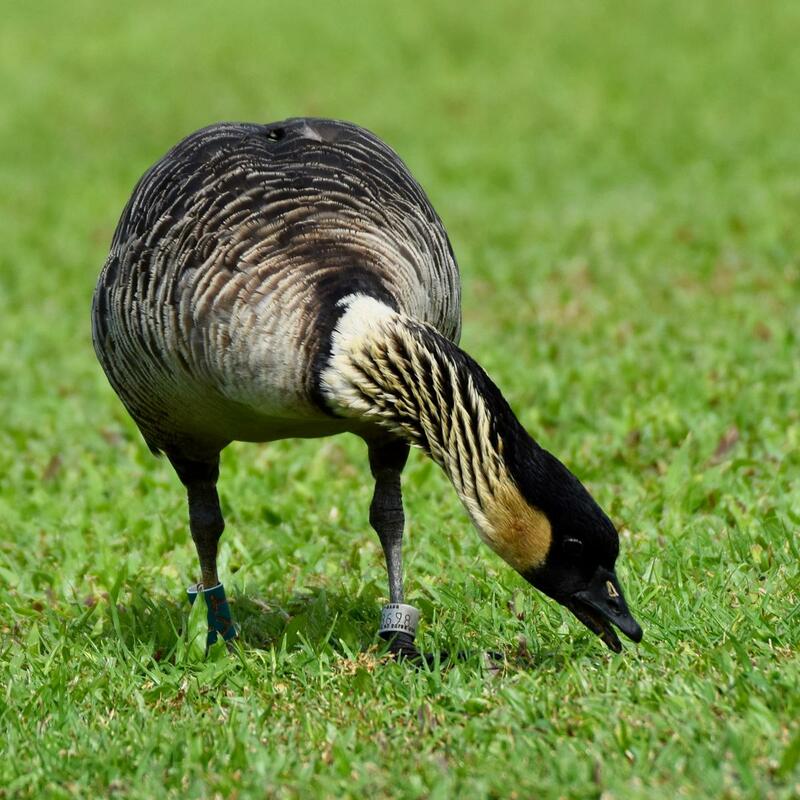 The Nene is the native Hawaiian goose. The rarest goose in the world, It is the only goose not found naturally in continental areas. 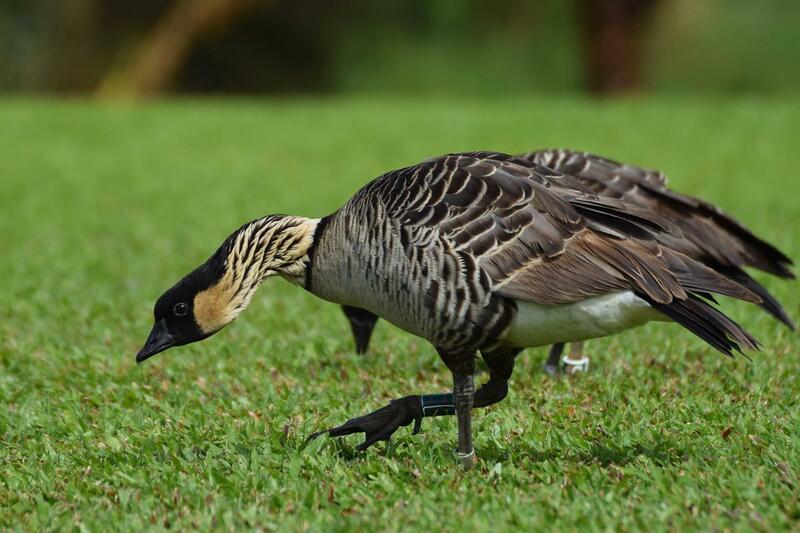 Once thought to live on all the islands in the Hawaiian chain, today Nene are found on Hawaii, Maui and Kauai. 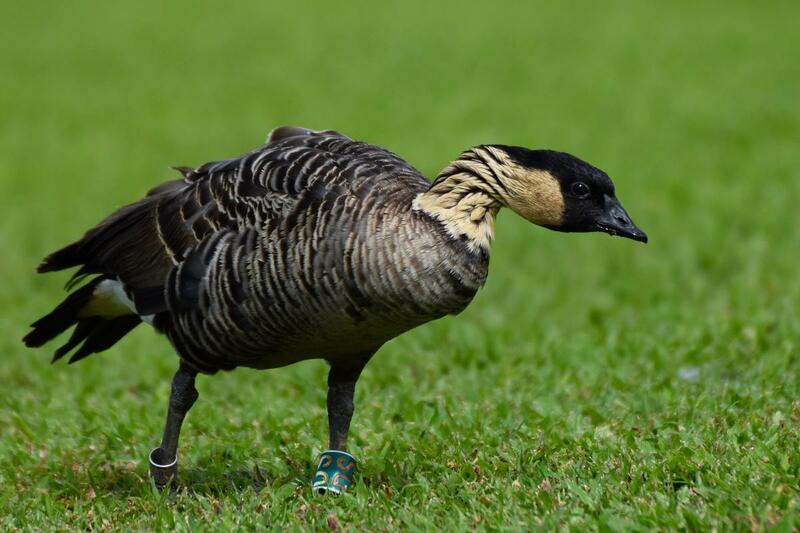 The monitoring bands are used to identify and track information about Nene populations. Conservation has saved the Nene. 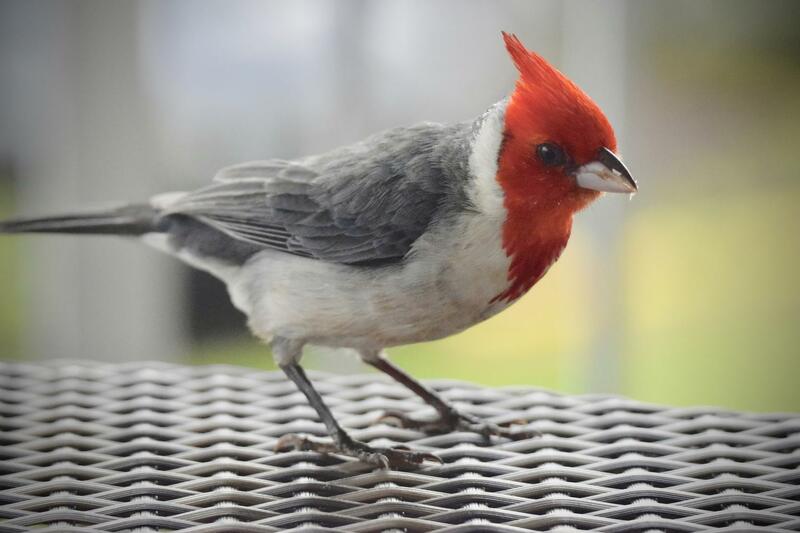 By 1952, there were 30 birds remaining. 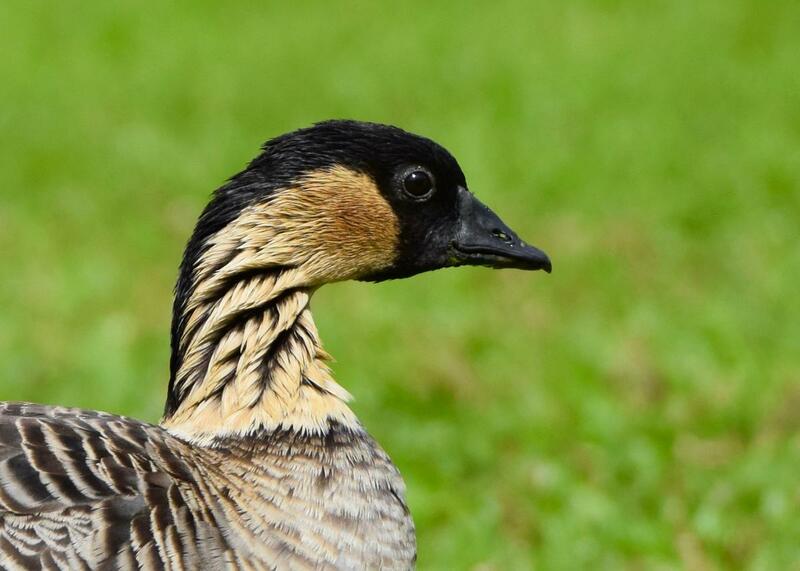 Today, there are around 2,500 Nene in the wild. 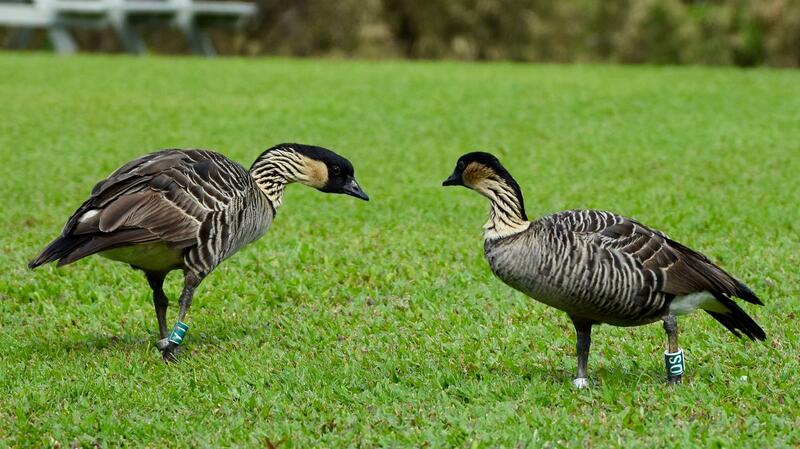 These Nene were photographed on Kauai.